YouTube tutorials also worth a gander. I never found a book to be much use tbh, I'd say again to Google exposure triangle and you'll get loads of beginner guides to give a basic understanding, then just learn one setting at a time. I think mirror less cameras are better to learn with as your seeing in real time how the final image will look. That was just a start-up guide for those struggling to make sense of it all. Most anglers will be on crop sensors and 35mm focal length is a good place to start. There's a lot to get into if you really want to, but taking a decent trophy shot isn't that difficult with some basic rules/settings. Focal length will have an impact on settings, f4 may not be available at a given length with the kit lens, and you can get away with bigger apertures at the wider end. Not really relevant with the kit lens but hey ho. The exposure triangle is a good place to start - learn the relationship between the 3 settings and it will all make sense. Aperture or f-stop - this is governed by how much of the shot you want in focus - as discussed below usually around f4 for landscape (sideways) shots. Shutter speed - this will be your compromise to get the exposure right. Day time I find it best to use Av mode - aperture priority. The light may be constantly changing and you need some sort of automation to keep up with sun going behind clouds etc. You know you want to be at f4 so set that. Then set your ISO - 200 for bright sunshine, 400 for average, and 800 for a really dull day. Your camera will now choose a shutter speed that will compensate for the settings you�ve already set for the other 2. If you try to set the ISO too low for the day the shutter speed will be too slow and you�ll get blur. At night the light is much more constant, you are controlling the source, so I use full manual at night. As someone said below, most cameras limit the shutter speed for flash shots, so as that is fixed, start there. Set your ISO to 400 - that should be fine for flash or beam. Set your Aperture to f4 - same as before for the same reason. Take a test shot - if it�s too dark lower your shutter speed a little - if it�s too bright - change your ISO to 200. That should get you in the ballpark. I tend to go manual, and use auto iso if light levels are changing like on cloudy days, or full manual with auto flash at night. Not sure if the dslrs allow that tho. Cheers guys, working over the weekend, so no better time to sit and watch some YouTube videos I think. Might order that dummies guide and have a read of that aswell. Full manual is a step too far for me, I'm not good enough for that stuff. Normally use a priority mode. Aperture priority (A mode on Nikons) = lets you select aperture and the camera will choose shutter speed to suit. Shutter priority (S mode) = this lets you select shutter speed and the camera chooses aperture to suit. In both modes you can select ISO manually or select auto ISO which makes it very easy, particularly when you're just learning your way around the camera. Best thing Is spend a few hours watching you tube vids. Basically what Duggs said. Ss 1/100. F 4. Iso 400. It will be a lot brighter as you have Let more light in with lower f.
Ss 1/160 f 10. Iso 200 May be same results as option 1. And f. To what you desire in terms of - low give the object in focus sharp rest blurry, high - everything sharp. but if it�s high is f20 then you�ll have to make the ss lower or iso higher to compensate. At 1/4000 you need a lot of light, if the aperture and iso settings don't balance with that shutter speed the pics will be dark. Your flash won't fire at that speed either, as they're typically limited to between 1/160 and 1/350 shutter speed. Wow theres a lot to learn isnt there. Thanks for all your help so far guys. Keep it coming lol. Might have to invest in a book aswell. I was messi g aboit yesterday and was getting sone shots come out really dark. Cant remember wether it was the aperure or shutter speed, pretty sure it was shutter speed. Is there a reason for that. It was when it was at the 1/4000 end of the settings. Yes the Portrait aspect is what interested me as you'll get more depth of field with that extra distance, but of course the flash may well drop off. Mine are landscape @ 35mm with just the onboard flash and a low level torch for focus assist - ISO 400, f4, 1/200. 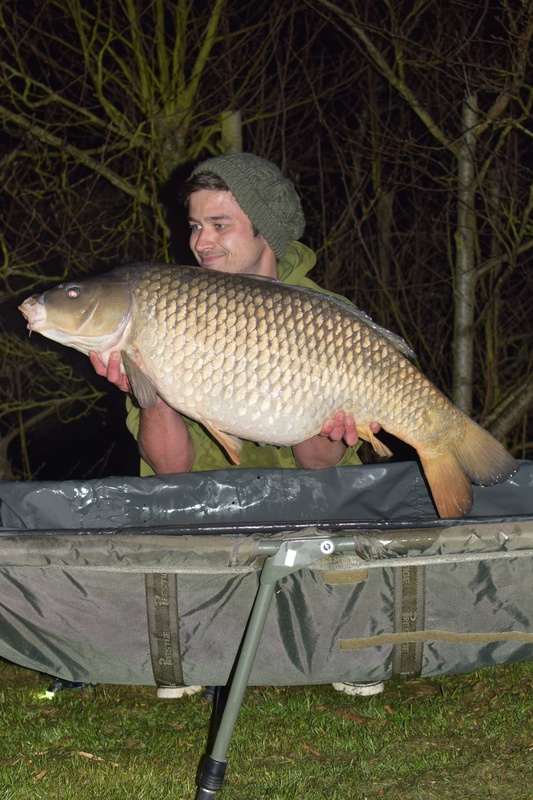 Some evidence of this in March catch results. Just sayin..
One immediately noticeable difference will be in low light focusing, since the focusing is done with the lens wide open. 2 stops (or 4 times) extra light makes a big difference. Cheers mate. Ss was 1/80, f. 4 and iso 400. I find at night that�s the sort of settings to have, specially with a rhino beam. Out of curiosity what was the SS, aperture & iso for that one? Likewise, I whack mine on a bankstick, gives me room to play with shadows etc. I'm thinking of getting a second to really light it up. Why are people spending money on f1.8 or f2 lenses - and stopping them down to f4? Seems like a massive waste of money to me. It seems f4 on the Nikon 35mm 1.8 is pretty bang on. What lens have you got, 18 to 55mm ? He's saying to avoid softness in the corners of your shots it can pay to select an f number slightly higher than the lowest you have available (giving you a slightly smaller aperture) so for the 35mm f1.8 lens f2 or f2.8 might give better results. Of course my advice is just a starting point to have a play around. It should give you a good idea of what your camera/lens is capable of in terms of subject separation/isolation. Once you get used to the camera you'll soon figure out what you like/don't like. Good advice, what i want to add is that all lens perform better stopped down a stop or two from wide open, even pro level lenses can suffer corner softness wide open. Hoy it in aperture priority mode, stop down to the lowest F number your lens is capable of (f1.8 on the 35 mm or f3.5 on the 18-55 kit lens (I think)), single point AF and select the area that'll hold the fish in the framed shot. Give yourself a little separation from the subject (you) and the background. Click away. Same for night but use an external light source (rhino beam is cheap and decent) to allow the camera to focus prior to shooting. Anyone got any setting they wouldnt mind sharing that i can have a play around with please? Trophy shot settings is what im after, and is this different for day and night? Just seen that�s already been said. Anyone looking for a new camera, in particular the d5300. I ordered mine from SLRhut. Found a �20 off code, pretty sure it was 20off, so got the camera for �359. Used the �20 saved for the 3-5 day express delivery. Ordered on Sunday, phone call on Monday to confirm shipping details, parcel arrived at stanstead airport today, expected delivery is by midday tomorrow. Your interval time is the problem there mate. The screen will only stay on if the interval is 6 seconds (I think) minimum. Looks identical to that one mate yeah. Looks like your good to go then, you will get a lot of use out of your camera. Good choice. The connection into the camera is rectangular if that helps. Edit: This cable end, the square one is the Nikon end. Does it have MC-DC2 on it anywhere? Cheers for the help guys, i went for a d5300. Just waiting on delivery. Also ordered an intervalometer. Not sure it is the right fitting though. Amazon said it would work with the d5300. Got it out to have a look earlier. It has come with an adaptor which says O6 on it. According to the packaging O6 fits olympus cameras and i need an N10 fitting? Anyone have any ideas or knowledge on this please? To be honest though after a few hours I was bored ****less and once I'd found a self timer setting that worked I though I'd cracked it! Whenever I get a new camera I work out how it all works by reading the instructions then go on a mad one testing it. Set it all up in a room in which you have a bit of space and a semi-interesting background and try out all the settings, the intervalometer, different lenses/focal lengths etc. Turn the lights out and try it all out with any external light source you might have. Take shots at different distances from the backdrop. Play with any presets. P*ss about with the focus settings. Really get to know it all like the back of your jim dandy. It's a bit of a ball ache but so worth it - there is nothing more frustrating than trying to figure it all out on the bank under a head torch with no manual to refer to. Sadly, live view does not work with the built in interval timer. That's where I got lost. The camera has a built in Intervalometer so hopefully the screen should stay on if I can work out how to use it? To be honest I got as far as the self timer bit in the manual and assumed that was all I needed, didn't realist there was a difference. A lot of cameras don't have internal intervalometer, rather they just have a self timer. Only difference is the self timer focuses once then reels off a bunch of shots at that setting where as an intervalometer performs an external actuation of the shutter so it focuses for each individual shot (so you could change your position/distance from the camera for each shot and it'll refocus to suit). If the Nikons have internal intervalometer and not just self timer then you'll likely see no difference buddy, all it does is perform the actuation at set intervals. Interested as to what benefits an external intervalometer gives over the internal one guys? I�ve never considered anything there than the internal one but if there is good reason I will look into it. As you say they don�t work with live view but I�ve never found it an issue. Get it set up properly before hand, flip the screen around and pout. I found the same. The on board didn�t work all that well. For the sakes of �15, it saves messing around. To OP, make sure you get one that�s compatible with your camera. Some of them you need to get an adaptor cable seperately. I have the 5300 with a 35mm lens as well. Agreed, the internal timer isn't quite good enough. It doesn't work with live view, so I got the external remote as well. That coupled with a fast SD card means I can take a shot every 4 seconds and that includes a re focus. You wont go far wrong if you get a flip screen DSLR. People are generally a Nikon or a Canon guy (usually depending on what you start with). As Vinnie has said I wouldn't get too hung up on a built in intervalometer as you can pick up the plug in ones for around �15 online and they are very easy to use and small enough to fit in your camera bag. With your budget look for a deal that includes a 50mm (canon) or 35mm (nikon) prime lens. Does that work with a nikon at night? If you set your camera to AF-C autofocus continuous it will keep focused as you move. Don't some models only focus at the start of the sequence when using the built in interval timer? I seem to remember a few threads along those lines. I can only really recommend Nikon�s as that what I�ve always had. With your budget I�d say, rather than getting a new d5300 it would be much better to have a look second hand for a 5300 or a 5200 or even a 5100 and use the spare money for a decent lense. There will be very limited gained by getting the newer model but having the extra cash leftover for a 35mm prime will transform a decent trophy shot into a brilliant trophy shot. I have a d5100 that I picked up really cheap second hand and see no point in upgrading the body until I can afford a full frame. Intervalometers are incredibly helpful. I am amazed at how many people with Nikon�s are buying them separately though... the d5100, d5200 & d5300 all have them built in to the shooting options in the menu. just gone through the camera selection process myself...difference being i didnt want a dslr for space restrictions...i too wanted a intervalometer and having spoken in depth to canon, yonny on here and various searches and reviews ive settled on the canon g1x mkii. this takes an intervalometer, has a very big 1.5" sensor,great in low light conditions,wifi to connect direct to my phone. these are �499 in the shops still,even though the mkiii is out.. i manged to pick one up new off ebay for �270. all i want is decent self takes and this seem to fit the bill perfectly. Yeah that�s not a bad set up, it�s what iv got. It has a built in intervelometer but it�s a bit more restrictive then the external one which is the route I went down. I�ve recently changed the way I do self takes to get rid of the need to carry a tripod. Once I�ve set up rods and camp, I place the unhooking mat where I want my self take. I lay my landing net handle on the edge of the mat to use as a fixed distance marker and then screw in a universal excavator at the other end. This way I know the cameras in the same place every time. I bought one of the heavy duty Gardner camera bankstick adaptors that allows tilt and pan which I use on an old 15� prolight bankstick. The beauty of this is the bank stick just drops straight into the excavator when needed so I�m set up in seconds. When I�m not doing a self take the excavator stays in the ground but the camera and bankstick are left inside the bivvy. I use an old Panasonic g series camera with a flip screen and following advice on here I recently ditched my bulb release and bought an intervalometer which is far easier. I'd say a tripod and intervalometer are essential for a decent self take. I set mine to a 10 second delay to be able to get the fish up, then takes 5 shots with a 3 second gap so the camera can refocus after every shot. Works for me but no doubt others have different ways. For me, phones don�t cut it, they�ll never produce a photo as well as a DSLR size sensor. I see trophy shots as more than just selfies. Some people don�t. Why put all that time and effort into catching that one special fish, but end up with a grainy crap photo that ruins the memory of the capture. IMO the cameras already mentioned will do exactly what you want. If you go down the good condition used route you�ll get a decent full self take setup for �400. Let�s be honest, for a fishing camera it�ll get damp and covered in grit, I wouldn�t want to spend �500 on a body for it to be buggered up. All this is my opinion though, I�m sure others may have other suggestions. So an intervalomter sounds like the way to go then. Everyone loves a slap in the face shot which i imagine is more difficult to get with a remote. It depends whether you actually want to spend a decent amount of money on something that your only going to take selfies with, the best thing to do if you want to save abit of money and not have loads of extra kit is to buy a small Bluetooth remote and connect it up to your phone on a tripod. Although your phone will need a good camera on it, that's what I do and its so much easier than having to worry about another piece of kit. Define better. A remote is just a shutter release button, interval timers offer more functionality. I have both and don�t use the remote. Your right the intervaolemeter allows you to do long exposure stuff etc as well. Remotes are OK but you�ve got to hold it, hold the fish and press the button at the same time. I�ve got a wired intervalometer. the cable is long enough that it sits infront of the mat which helps to keep the camera at the same distance each time. Set it to take 99 shots, press play and your good to go. 10 or 15 shots of each side and delete what you don�t want. If your not worried about brand new, eBay is a good place to look. It may take a few weeks to find a suitable one but mint used bodies will come up. I got hold of a mint D5200 for �150. Add to that a new 35mm for around �140 and you�ve got a superb self take setup. Canon do similar versions in that price range and age like the 600D, 650D, 700D. The cheaper prime for Canon though are 50mm which can be tight in small swims. A superb lens (nifty 50) and very popular. I went with Nikon 35mm though and very happy with it. Mirriorless is an option, you�ll be lucky to find equvilent specs as above for the same money. Could be wrong with that though. An intervalometer is an absolute must for self take shots IMO. On board timers just don�t cut it. Intervalometers half press and focus the camera before each photo. The best �15 you�ll spend. Spend the most your happy to on a tripod. People will argue that one for a tenna will do the job. Correct to a degree but their not always that sturdy and fall apart after 6 months. �30 or so on amazon, you�ll find something reasonable. I want to get a new camera, rather than using my phone. Need to be able to do self takes. With my very limited knowledge of caneras, i have arrived at the Nikon d5300, because of the remote and flip screen and some reviews on here. They seem to vary in price dependant on where they are from but from memory �320 is the cheapest i can find. Should i just go for that camera or are there better options for me? i know what intervalometers do but are they a better option than a remote? If so what cameras are decent for use with one?